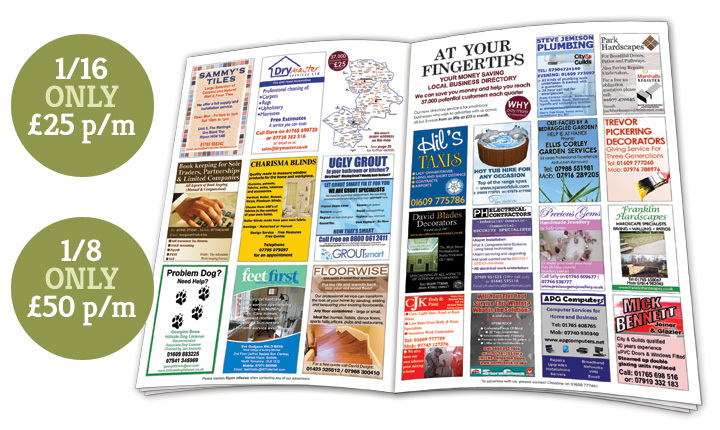 At Your Fingertips is our small business directory within the InFocus magazines, offering you the opportunity to advertise your business in both our publications at a great price. Call: 01609 777401 / 07742 595747 to book your advertising. Northallerton has Christmas all wrapped up! Book your advertising today and get the equivalent space in FREE editorial! Copyright © 2019 InFocus Magazines. Powered by WordPress. Theme: Accelerate by ThemeGrill.